We’re committed to helping you do business, not paperwork, and are continually adding new features so you can work smarter not harder and focus on getting the job done. Our customers already love the flexibility that our Custom Fields feature offers, and let’s face it what’s not to like! 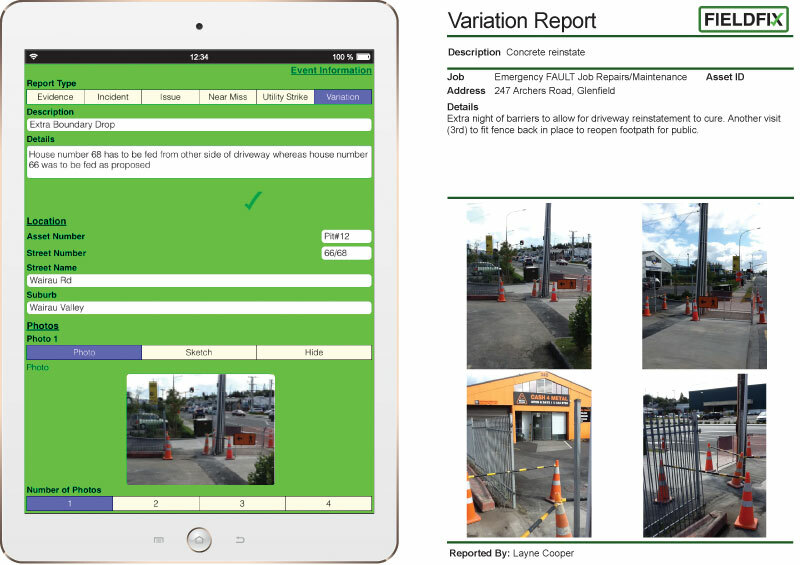 FIELDFIX Custom Fields makes Business Reporting easier the smart way, and without the usual burden of expensive development costs and the long lead times customisation normally attracts. Our customers are not limited to pre-defined data capture fields. Moreover, FIELDFIX’s easy build custom field framework provides the ability to capture all sorts of information from the field, whether it is specific or ad-hoc job information, pre-job start checks, elevated work platform checks, vehicle checks, incidents and accidents, even logging visitors to site, FIELDFIX can manage it and report it all, instantly from anywhere, anytime. And thanks to a suggestion from one of our clients’ ASCO and their innovative thinking, FIELDFIX Custom Fields on Event Reporting now supports additional features such as multiple signature sign off, providing even greater flexibility for reporting in the field, just the way your business needs. Customised reporting in the field doesn’t have to be hard. For more information visit Custom Fields and Business Reporting and let FIELDFIX help your business work smarter not harder.